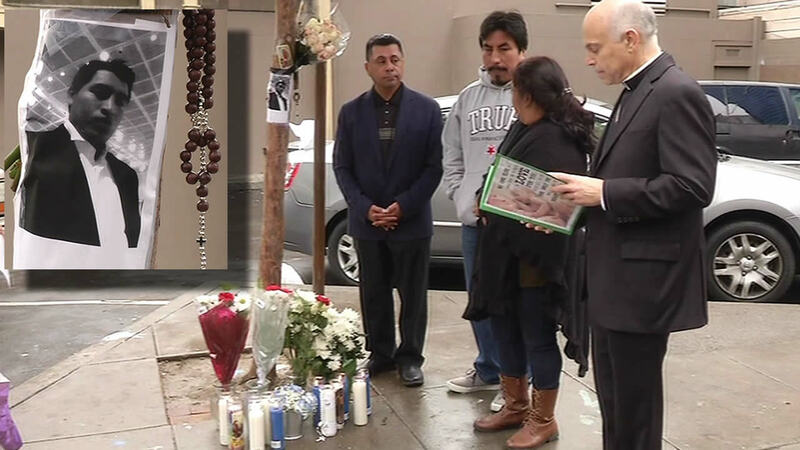 SAN FRANCISCO (KGO) -- Archbishop Salvatore Cordileone led a prayer vigil Wednesday for the latest shooting victim in San Francisco. Hector Salvador, 26, was killed Sunday morning on 16th and Hoff streets. Salvador's family joined the vigil. Cordileone said more needs to be done to keep guns from dangerous people. "We do have a gun culture in the United States and the inclination of violence easily leads to the use of firearms. There's a lot that has to be done with regards to guns affecting firearms," he said. The Catholic Church does not have an official position on gun control laws. Officials said this was the 46th homicide in San Francisco this year.